Professional venue styling, starcloths and wedding chair cover hire in Barnsley, Wakefield, Leeds, Sheffield, Pontefract, Castleford, Dewsbury and surrounding areas. 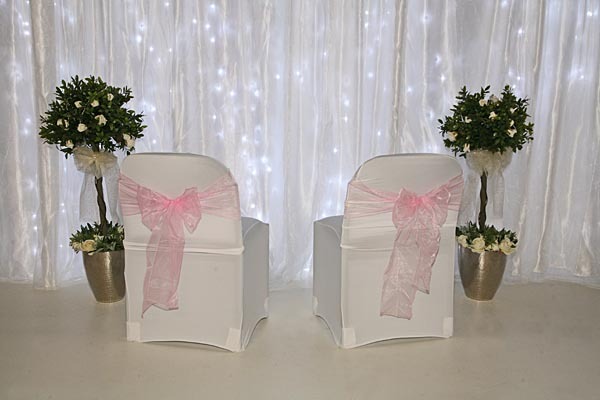 Starlight Backdrops for weddings in Barnsley, Wakefield and Leeds. Our dazzling starlight backdrops offer a unique background for your wedding photos and speeches when positioned behind your top table.